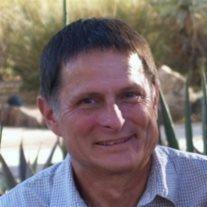 Paul James Gurrola, 59, of Mesa, Arizona, passed away on Friday, May 2, 2014 at his home in Mesa. Paul was born at Downey Community Hospital in Downey, California on December 2, 1954. After 40 years in Southern California, he and his family moved to Mesa. Paul developed many hands on skills during his lifetime, including woodworking, exhibiting musical skills on guitar and other instruments, and working on computers and printing equipment. He also enjoyed helping friends and neighbors with a variety of do-it-yourself projects. When he had time to relax, he loved to listen to all types of music. Paul always demonstrated a positive attitude and he was the “life of the party”, at all family and friends events. He could always be depended on to pick you up, or to help with any problem situation. Paul was a dedicated and loved husband, father, brother, uncle and friend. He is survived by his wife Sabrina, and his daughters Melissa and Kristin and many other family, friends and neighbors. Paul will be missed deeply by everyone who knew and loved him. There will be a Service to celebrate Paul’s life on May 17, 2014. The Service will be held in Southern California at Green River Country Club, 5215 Green River Road, Corona, CA 92880 from 3-6 PM.